Governor Samuel Ortom of Benue State has assured that his government would ensure that “the law takes its course” regarding the death of 13-year old Ochanya Ogbanje. 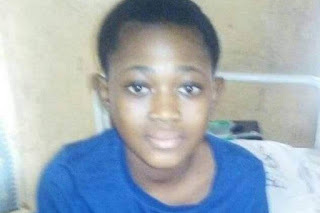 Ortom gave the assurance on Tuesday in Makurdi when some people from Benue State University protested to the Government House to register their displeasure over the unfortunate demise of the minor. Ogbanje was alleged to have been sexually abused for five years by a Polytechnic lecturer, Mr Andrew Ogbuja and his son. “I am pained over her death because I also have daughters. What if it were any of them? Indeed, this matter will not be swept under the carpet, the law must take its cause,” he said. The governor, however, urged all abused persons to speak out so that the world would know their plight, and those in authority would be able to come to their aid and stop the ugly trend.